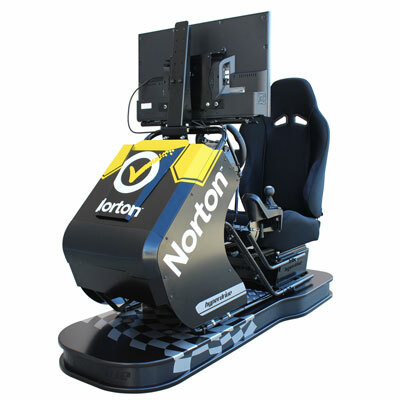 Home of racing simulator cockpits, gaming seats, sim racing hardware frame rigs and simulation race seats for PlayStation PS4, Computer, PC & Xbox One for racing game simulation using TV display or VR Virtual reality sim racing setups. Hyperdrive's racing game simulators and professional car driving simulators have been leading the way with the original cockpit simulator since 1998 pioneering and innovating the most realistic simulation for home race gaming and driving training simulators. The best racing simulator and driving simulator cockpit that suits all racing driving games for like Formula One, F1, simulation, Nasar simulation, and v8 gaming simulation. All our driving , racing cockpit simulators, suits all car driving racing games for computer PC, Xbox One, Playstation Ps4 & Ps3. The ultimate level in simulation made in Australia. The best racing/driving simulators for Xbox, PS4, and PC racing game. 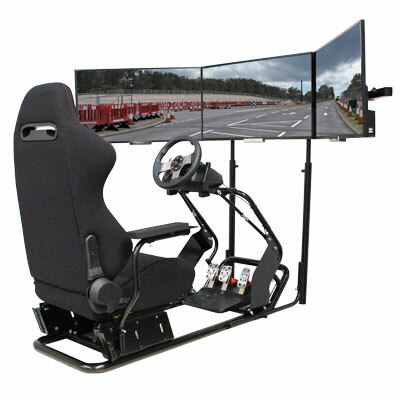 Multi-screen 1 X 3 LCD TV racing driving simulators for computer Pc for online gaming racing simulation like Iracing. The LCD TV'S supports fits any Hyperdrive models. giving our customers all the vertical height adjustment, rotate adjustment, horizontal sideways adjustment, together with up & down fine adjustment and angle tilt for the best racing gaming simulator experience. 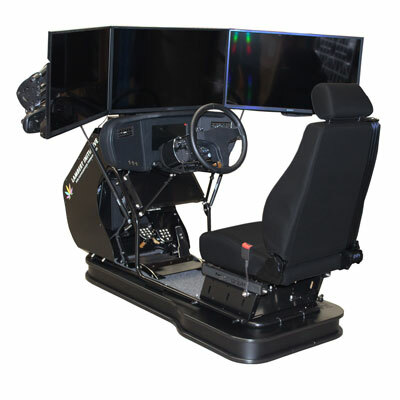 Many of our customers use this simulator with triple screen for their racing game set up for Iracing simulator software. 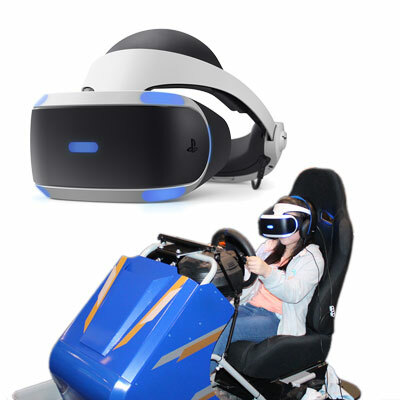 Virtual reality racing simulator, using VR headset eyewear for PlayStation 4 PSVR or PC computer VR headset eyewear provides the latest technology in reality for console or PC car race game simulation and driver training simulator applications, headsets are available PC and PlayStation. PSVR headsets work on PlayStation compatible systems and have some functionality on Xbox One. 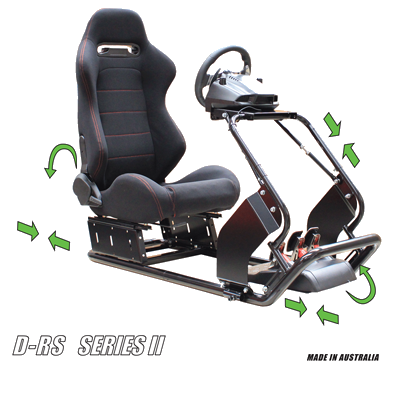 Pro racing simulator for home racing simulator for computer PC Gaming and PlayStation Ps4, using Thrustmaster racing steering wheel and pedals for the best home simulator anyone would want! Car driving simulators have features that offer the most realistic driving experience that makes you feel like you are in a real car, with premium car seats, seat belts, lights, auto return turn indicators with operational instrument display, eye optical eye tracking.! 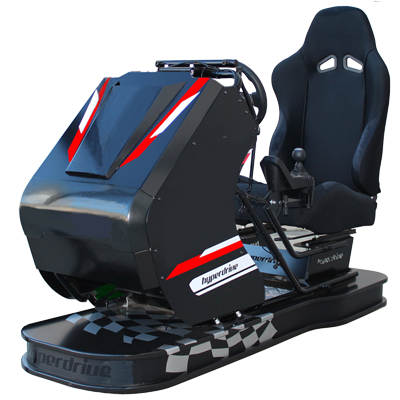 (Above) car simulator with domestic Fanatec brand racing wheel operating premium foot pedals. 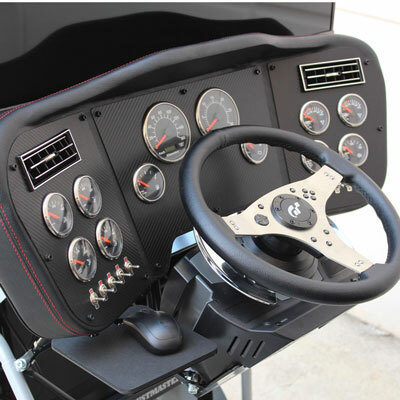 Steering wheel modified with turn indication auto shut off the system with dashboard system. Designed and manufactured by Hyperdrive. Australia made realistic driving simulator cockpits, driving simulators and training simulators. Compact Truck & Bus driving simulator design offers the correct steering positions for the most realistic truck or bus driving position, systems can have truck/bus seats, seat belts, lights, auto return turn indicators with operational instrument display, eye optical eye tracking.! The system above is using a Thrustmaster T500. 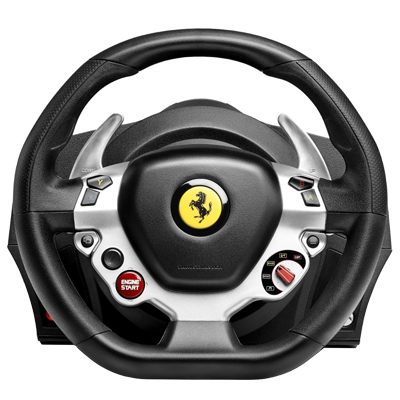 We manufacture our own steering wheels and sizes to suit domestic steering wheels brands, like Logitech, Thrustmaster and Fanatec racing wheels/pedals. We understand that most organizations work to budgets, that is why we offer so many design solutions. We also offer high-end steering systems wheel motors for professional use that range from 10-40k!! If you are holding an event or conference, we have the experience to make your event a success. Our Experience staff can look after your customers, leaving your staff to get on with sales! If custom graphics are required - we can arrange and supply at a fee. Bump in / Bump out excluded, unless stated in hire agreement. Hyperdrive simulator rigs/racing driving simulators have partnered with PlayStation over the years to release the latest realistic racing simulator games for PlayStation 4, PS4, PlayStation 3. Hyperdrive racing driving simulators have released PlayStation GT6, Gran Turismo 6 on Ps3, Drive Club VR, Drive Club and GT Sport on Playstation PS4. PlayStation Australia works in partnership together with Hyperdrive, South Australian simulator Company. Helicopter Flight simulator for professional flight simulation for computer PC flight. 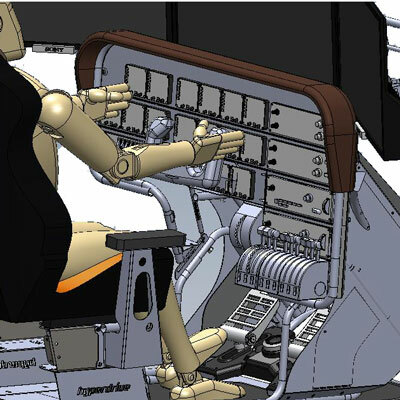 Hyperdrive years of expertise in simulation and know how to work with organizations to develop simulators that are suited to specific requirements, call us to discuss how we can help with your project.  We design systems for most applications. 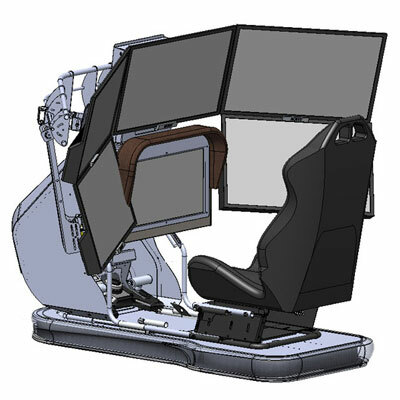 We design and manufacture custom simulator systems in South Australia.